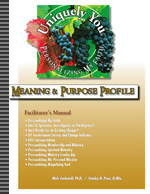 Help members to identify and improve their spiritual habits and disciplines toward victorious Christian living. Also use this profile with your program as a powerful resource proven to keep people going around the bases! True discipleship requires members to become spiritually mature. Biblical obedience results in members sharing in the responsibility of serving in their church because they WANT to and not because they HAVE to. Volunteering to serve is the natural and supernatural by-product of Christians who have discovered meaning, purpose, membership, ministry and spiritual maturity. 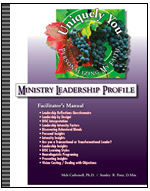 Every member should continue "personalizing" their faith to discover spiritual maturity. Focusing on 13 specific habits, the Spiritual Maturity Class is designed to help members assess their obedience to the Lord. Their daily activity and regular routine are good indicators of the things that are most important to them. Your members' habits will determine their spiritual growth. Members do the things that are most important to them. Having a mission with intentionality is the next step toward ultimately magnifying God. 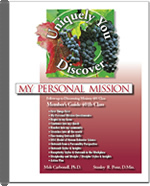 The My Missionality Profile is a great resource to help members glorify God through the bearing of much fruit. Every believer in Christ should learn how to share his or her faith, plus disciple other Christians to do the same. This is my Mission With Intentionality. The church is not only a hospital for the hurting, a learning center, and place of worship, it is also a lighthouse for the lost. Churches today have failed at "going into the highways and hedges and compelling people to come in." Christians desperately need to learn how to evangelize and disciple others with the mission Jesus gave as He ascended to heaven after His resurrection. The main thing in life is to keep the main thing the main thing. So what is the main thing? Our lives should focus on magnifying God! We were created to glorify God with our time, talents (gifts), treasures (money), and temple (body). How we use our time, exercise our gifts, manage our treasures, and take care of our temple will determine how we magnify God. The Magnifying God Profile, Facilitator's Manual, and PowerPoint Presentation can help your church improve its "bottom line" - magnifying God! By focusing on the practical and pragmatic things that fill our lives daily, we can evaluate what is obviously most important to us. We can theorize and spiritualize most everything, but the simple, yet enlightening Magnifying God Surveywill measure our realistic condition. Once we assess our actual way of life, we can clearly begin to improve how we glorify God.